© © Copyright 2018 The Art of Charm. I appreciate the way the guys disseminate information in humorous ways and get a lot of enjoyment out of their show. They are vulnerable and authentic and I enjoy the guests they have on the show as well. I find myself making recommendations to the podcast to friends/family often after I tune in. Youâre doing a great job guys! Keep up the good work! Just finished listening to episode #749. Boy did I need to hear this! Itâs amazing how the universe puts people in your way when you need it and your open to it! Thatâs the AOC fam! I have been struggling lately with toxic relationships especially in the workplace. I have been distancing myself naturally just because I knew I needed to but did not have the skills to handle it while distancing. This episode was amazing and helped me 1. Feel better about it and 2. Gave me tools to navigate myself through this process properly. THANK YOU guys! Youâre such a huge help to so many! It is an awesome show that everyone needs to listen to. There are so many helpful tips in here that will help anyone on the daily. Love the choice of guests too! Thanks for bringing me through some tough times. I listen while jogging.Love it! You guys are douche bags. It is truly hard to express my feelings in any other way. These guys have taken to using the last name of the FORMER host in attempts to make people think he is still involved. So sketchy!! AJ âHarbingerâ has no relation to Jordan Harbinger the former host of this podcast. If AOC was still producing quality content without Jordan, why would they falsely use his last name? Go check out Jordanâs show if you miss the old episodes. This podcast came to me at a time in my life where I am both depressed and recovering from physical illness. I was so tired of being stuck where I was, without knowing how to begin to pull myself out of the dark. I have been listening to your show for months now and I gain something every single podcast I join in on. You have given me motivation, direction and a sense of commitment to my own happiness. Thanks guys! The interviews seemed half a**ed and not worth the time... have found another one that brings the value this used to. So this one has changed and evolved. In the beginning, it was a little cringe inducing but had a decent foundation. There were years when they were 90%. Now it seems like they are trying to shoehorn content. Once or twice a week I have to bail on an episode because the guest is a bro-douche and they donât call them out. They do a good job most of the time. ...that gives a platform to Mike Boudet is not a network I will support. Really liked the podcast but as long as ranks are shared with the likes of a person like that, I wonât listen. Excellent content. Iâve come across your podcast and YouTube over the years but as Iâm in a relationship largely ignored it but Iâm glad I choose to listen. Spot on with so much of the tactics and will be using this to make my experience with people better. Learn to accept and move around toxic relationships without burning the boats. No need to respond guys. Just a quick request: Iâd love to hear you guys talk about Toxic Tribalism and the impact it has had on relationships. Many of us are struggling with the very strong expectations under the influence of the current political sphere. I have had friends become angry with me for not taking a stronger stance on my political leanings in both social settings as well as on social media. Some have even gone so far as to say it is my duty to speak up against the wrongdoings and mentality of the other side. They become VERY agitated with me if I try to take a more neutral or peace keeping stance. I donât want to do this anymore. It feels ugly and dividing. Itâs not fun. I know that irrespective of what your political leanings might be - everyone is feeling this pressure. And itâs also putting a serious crunch on the development of new friendships. I will be the first to admit that I have on many occasions in the last couple of years - avoided becoming friends with someone once I learned what their political stance is. Now that Iâm aware of Toxic Tribalism, Iâm working to change this. Ten years ago, this was a non-issue for most of us. What the hell happened? Considering that the culture is currently evenly split down the middle on the political front - this means many of us are missing out in meaningful connections with nearly 50% of those we meet. How can we navigate this? How can we, myself included, look past these toxic tribalism expectations? Iâm tired of this. I know Iâm missing out on some pretty great moments as a result of this. Others are too. We need your input on this - this is quite literally destroying many relationships before they have even had a chance to start. Thank you guys. And much love to you and your mission to help others. Keep it going. What happened? They fired Jordan. Show went down the tubes. I started to listen to this podcast a few months ago and liked it at first. However, as I got further along I found the the hosts to be stiff and scripted. There is an element of inauthenticity to this podcast. I donât think that the content is entirely bad, they have great guests but at the end of the day this podcast is a sales pitch for their self help seminars and whatever else their sponsors are asking them to sling. This show has great information and is applicable to everyoneâs. I enjoy the information, and it has helped me be a better man. I didnât realize how much I loved Jordan Harbinger until he was suddenly gone. Iâm so glad I found his new show because the quality of the AOC interviews has plummeted. I really tried to keep aoc in my library but the content is so lackluster. I tried. I listened to aoc for 4 years and sadly, itâs time to break up. Iâve been a listener for years and have attended the week long boot camp. I am a few months behind in episodes, but I want to say I am enjoying the new format. The idea of stacking concepts and building upon them has made it much easier for me to put the lessons and ideas into practical use. Keep up the great work! Weâre did the old host go.!! Who are these people .??? I love the verbalizing you did with your kids (including our inner children as well) that just laid it all out so simply; just a moment as effective people take to take it one step beyond the generic âIâll have a good dayâ to âwhat is a good day really?â That little piece possibly can save lives, I am sure of it and so easy to implement for anything, probably how I am responding with it right now. They lost their charm when they lost Jordan and Jason. Art of Charm is very inspiring, to me and has continued to help me grow as a person. I can't wait to see these two conniving hacks fail since they maliciously fired Jordan. They now relish in the thriving success of what Jordan built. But I can see from the reviews that this sinking ship is already under water. That makes me so happy! I miss Jordan Harbinger! What happened??? I have listened to and enjoyed this show in the past. I was very disappointed to hear the hosts reference coaching they received from Jordan Peterson. You cannot have the privilege of coaching women if you are being coached by a person who believes that women are biologically inferior. These are immature and hurtful beliefs that undermine your skills and value as coaches. The way the two host manage dialogue with one another (particularly around their services) can sound like used car salesman trying to give you a subversive pitch without you knowing itâs happening. It almost undermines the kind of honesty and authenticity they champion in some of the content. It doesnât flow well. Kind of annoying. I listened to this show for years while Jordan hosted. Now we're left with these two and....I'm out. This thing is gutted....sounds like an infomercial. It is so hard to continue to follow a podcast after Jordan was booted out in such an unprofessional way. I can't listen anymore because I just know the hosts are backstabbing jerks. And stealing his name was ***really*** weird. I was pleasantly surprised by the new format, as I hadn't listened to this podcast in a couple years. I found the former host somewhat crass and arrogant, and his interview style gave me the impression that he thought he was more knowledgable than his interviewee. Now, when I rediscovered the podcast, I find the current hosts more relatable and professional, discusing a wider breadth of topics. Jordan was a great host and interviewer, unfortunately he was kicked out and now this show is worthless. I used to love this show before they pushed Jordan out the door. AJ and Johnny, no thank you. AJ and Johnny have an ability to brilliantly breakdown self-development topics to make them relatable and easier to understand /apply in your life. It shows how well they study and research for each podcasts.. well worth a listen! Not too sure what happened, but it seems a miss now without Jordan. I am really disappointed in the quality of the show since itâs founder was pushed out of the company. Serious ethical issues. It once offered great value but no longer. Since Jordan Harbinger left this show is just not the same. Switching over to his solo podcast. Donât know him or any of these guys personally, but Iâm more loyal to his takes / guests than I am the AOC brand. It is what it is. While the core content of the show can be interesting and relevant, lately, there is so much self promotion, advertising their own âproducts & servicesâ, and third party paid ads, that I can no longer justify the time it takes to separate the wheat from the chaff. Removed this show from my subscribe list. Not the same since Jordan Harbinger and Jason DeFillippo left. Should be renamed 'The Art of Parm' because this is nothing but cheese now. This podcast is one of the best for understanding and enhancing human dynamics. AJ, Johnny & guests share research-based strategies and hacks for contributing more value in relationships & interaction. Whether you seek to improve a few specific skills, enhance a friendship or romantic connection, or overcome social anxiety, their podcast has plenty of info you can use, delivered in an engaging manner. Definitely recommend! So thankful to have stumbled upon this podcast when looking into tips on the Art of Conversation. Have listened to several episodes and am starting to utilize the lessons in them to network and one day start my own business. Definitely not a podcast just for guys even though it's hosted and produced by men. The topics and tips in the episodes can help in many ways whether in your personal or professional relationships and especially within your own mindset and self confidence. I excellent podcast! AJ & Johnny bring valuable information and great personality to the table! What also helps them stick out is the genuine way they interact with their guests. It's always clear that they respect them and genuinely believe in what they're doing without throwing false compliments around. Truly a breathe of fresh air in todays podcast world! I love listening on my way into work. It helps me get into a motivated and positive daily mindset while Iâm working on improving myself. Highly recommend it. The current version of the show is over produced and too much of Jordanâs incessant interjections on the topic, rather than the actual expert... we got it... you think your insight is why we listen. Itâs not, weâre hear to listen to you conduct an interview with the expert. These guys sound like they are reading a cheesy script. Horrible voices. I liked it much better when it was Jordan Harbinger. These guys are a joke. Taking credit for all their downloads when they fired the team who made the show what it WAS and are taking credit for other people's hard work. They should rename the show to 2 Broke Drunks. I wonder if Johnny ever reads the financials to see how everyone gets paid because he may find it enlightening. 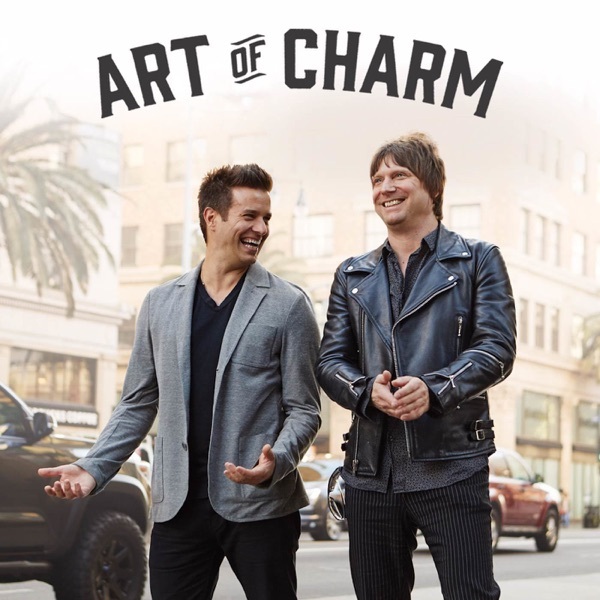 Iâm a 27 year old woman and Iâve recently re-discovered the Art of Charm podcast. I fell off the podcast a couple of years ago, but I gave it another shot recently since AJ and Johnny were hosting. The episodes have tactics that are very well researched, articulated, and they are easy to listen to. Luckily thereâs been a backlog of episodes that I could catch up on to keep me busy. My only wish is there were more episodes for me to listen to during my commute; itâs become a daily routine! Concise and relevant. Great discourse. No fluff. What AJ and Johnny talk about on the show is opposite of how they treat others. How ironic they can't hold together their own relationships with each other let alone with other people. Johnny is even more clueless to all the times AJ talks about firing him behind his back. I wish them the best of luck together.